This time of year athletes are often stuck inside on a trainer putting in time in hopes of improving bike power for the upcoming season. A key session that we like to incorporate is the muscle tension interval. Essentially, a muscle tension workout consists of long bouts of pedaling with a slow cadence and moderate to high force. These workouts might also be called force intervals, or simply big-gear pedaling. The intent of a high-force workout is to recruit more muscle fibers per pedal stroke by pushing against a higher force than a typical endurance workout. These workouts are sometimes referred to as strength training on the bike, or as a way to transfer strength training gains to the bike. 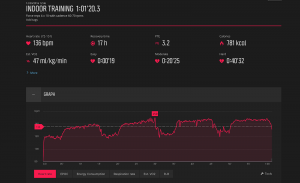 Done correctly, you can pedal with heart rate or power in an aerobic heart rate zone, while pushing a force greater than your threshold power. Let me explain. Power is a product of Force X Velocity (pedal speed). If power stays the same, force and pedaling cadence have an inverse relationship. Suppose you are pedaling on a flat road at 20 mph. You can achieve that speed with a high cadence and an easy gear (low force), or a low cadence and a hard gear (high force). In both cases, assuming all other variables are the same, you have the same power output with the proper gear ratio paired with a certain cadence. Alternatively, if you want to achieve a force similar to your threshold power without working as hard energetically you can reduce both your power and your cadence proportionally (think of threshold power as your one-hour race pace, or Olympic distance triathlon bike power). 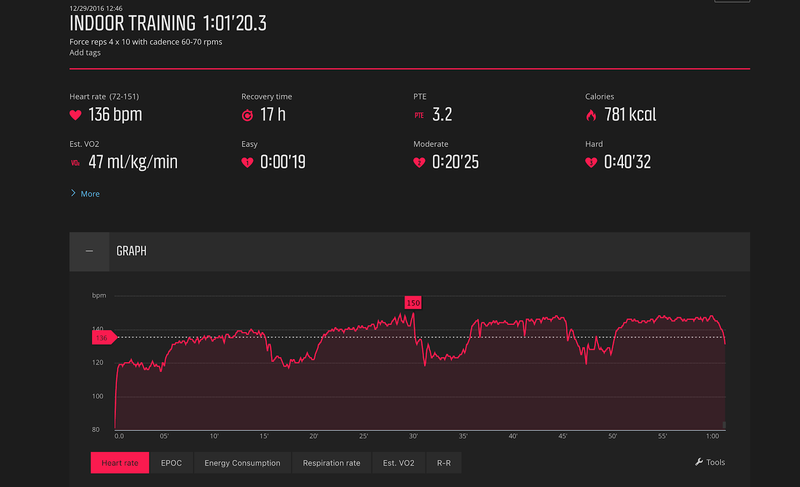 Keeping it simple, let’s pretend your threshold power is 270 watts and you typically race with your cadence at 90 rpms. To achieve a similar force at 70 rpms, you would only need to pedal at 210 watts. A force workout can be performed with cadence anywhere from 50-70 rpms. Since the risk of knee pain goes up with such high force, I like the 60-70 rpm range for most people. On the trainer, you also need to be careful not to pedal below 60 rpms for risk of overheating the load generator. You will want to double check your trainer’s manual to make sure slow cadence is ok for your trainer. Outside on a long, consistent climb, it might feel better in the 50-60 rpm range, assuming pedaling mechanics are sound. If you live in a flat area, then it works well to pedal a big gear into a headwind. Think of each pedal stroke as an individual rep and drop the heel as you press down to recruit the glutes to lessen patellofemoral stress. Start with a workout such as 5 x 5 min high force pedaling, and build up the duration of your bouts until you are completing 40+ minutes of total time under muscle tension. I like to use about 85-90% of threshold power for the force workouts. The winter is a good time to work on your cycling force and it is easy to control indoors. One option is to pair force workout with a strength workout. If you do, it is better to perform the strength training first and then the cycling workout. The high force pedaling might feel like a big load on the legs, but it is probably only about 40% of your 1 rep max strength. So in the weight room you might be doing reps of 10 with 75-80% of 1 rep max, so the strength training has a higher neurological demand. If your power suffers too much, then you should separate your strength workouts from your force pedaling workouts. Keep in mind that your overall goal is to increase threshold power, so if you adopt a much slower cadence to all of your cycling, then it will require a significant amount more force to get to threshold power. It is good to be able to pedal at a range of cadences, so you may want to include some pedaling skills workouts or just be conscious of a faster cadence on your recovery bouts and pedaling at a range of cadences during your endurance rides. Want to take your training to the next level? 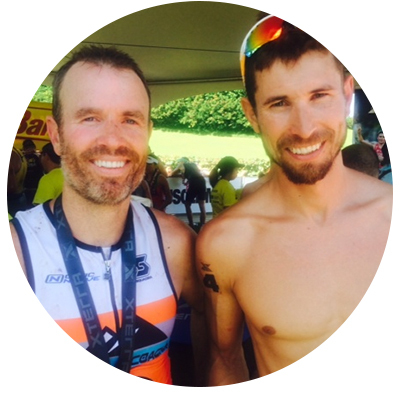 Middaugh Coaching offers personalized coaching for athletes of all levels. There are still a few slots open for the 2019 season! in the next 10 days for $100 off your first month!